In the old days before iPods and CD players, changing the dial on our radio was a source of distraction on the roads. Did drivers ever sue car radio manufacturers for accidents they caused though? I think we’d agree that a lawsuit like this seems silly because individual behavior, not the radio, is responsible. Why then are we seeing another legal case against Apple blaming the company for a distracted driver crashing into another vehicle? Perhaps it’s easy to sue a company for an individual's bad judgment rather than hold the person accountable. If the defendant has deep pockets, a suit can lead to a big pay day for lawyers and their clients. 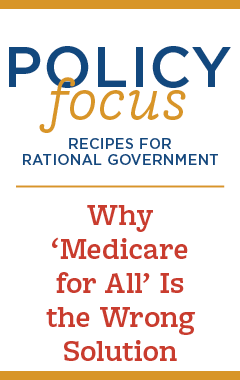 And then it could be about making a public-policy point. Julio Ceja, a California motorist, has filed a class-action suit against Apple for failing to install functionality that disables the iPhone while the driver is engaged. He was rear-ended by another driver who was texting at the time of the accident. Instead of just suing the driver, Cejo –and whoever is bankrolling his lawsuit— want to make demands of Apple and other cellphone makers and signal to policy makers that this is an area for them to step in – even if they’re not needed. Apple has the ability to outfit its iPhones with a lock-out device that would disable the smartphone while being used by motorists. In fact, it has had this technology since 2008, and was granted a patent on it by the U.S. Patent and Trademark Office in 2014. Yet, fearful that such a device would cause it to lose valuable market share, Apple refuses to employ the technology, choosing instead to allow the massive carnage to occur. Ceja is not asking for damages, although perhaps he could be prevailed upon to take some payout. He’s seeking an injunction to stop that the company from selling cell phones in California that don’t have driver-lock or lock-out functionality present. This case follows another recent lawsuit from a family whose five-year-old daughter was killed because the driver behind them was paying attention to his live video call on FaceTime rather than the road. The family sought legal damages from Apple. "Apple engaged in unfair business acts and practices when it provided advanced smartphone technology to driving consumers, without providing a lock-out device for the product when being used by engaged motorists, while knowing the extreme dangers caused (by) its product, and while having patented the technology for such a lock-out device." California lawmakers and regulators are taking note no doubt, as are those in Washington. 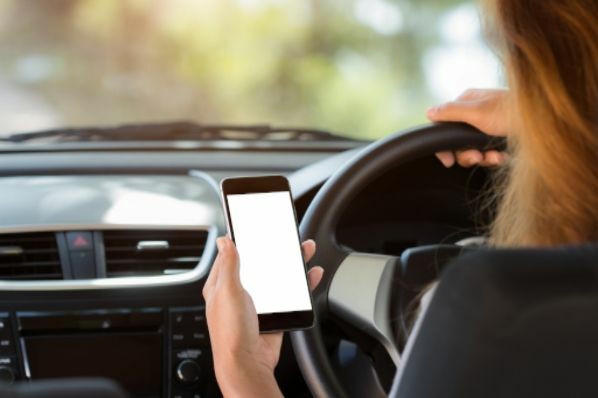 Washington and states are grappling with how to address texting, FaceTiming, and other online behaviors that divert the attention of drivers from the road. Whether the court will agree that Apple engaged in false or misleading advertising has yet to be seen. Distracted driving has been on the rise in recent years because of the prevalence of mobile devices. The loss of life is both tragic and avoidable if drivers exercise better judgment. Drivers have solutions that can help them stay focused on the road. Apps are available for every driver to download that keep you from texting or gaming and apps that read your texts and emails aloud so that you don’t have to. These solutions are great for parents with teens and busy professionals who are addicted to their phones. Most of all, however, there’s good ole common sense.